From the geometrical precision of the pyramids to the golden treasures found in Tutankhamun's tomb, the art of ancient Egypt has an enduring capacity to attract and intrigue. These remarkable works of art are the concrete expression of the ancient Egyptians' way of life and their attitudes to religion and the afterlife. 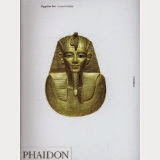 In this clear and comprehensive introduction, Jaromir Malek deftly traces Egyptian art from its prehistoric origins, through 3, 000 years of astonishing achievements in the era of the pharaohs, to the conquest of Egypt by the Romans.